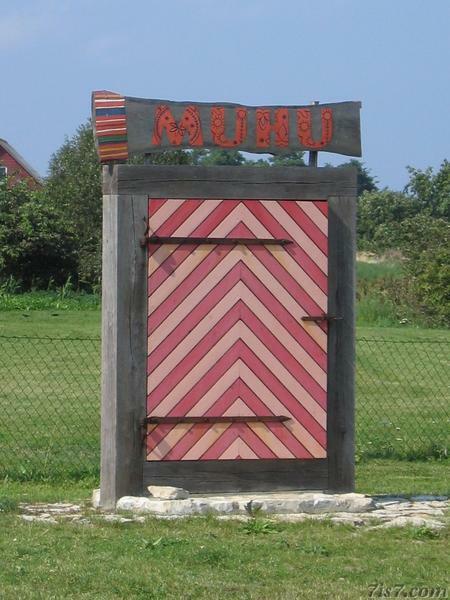 A traditional farmhouse door which has become a symbol of Muhu. This particular one welcomes visitors to the island. Location: 58°34'24"N 23°23'26"E on: Google Maps, OpenStreetMap, Maa Amet.